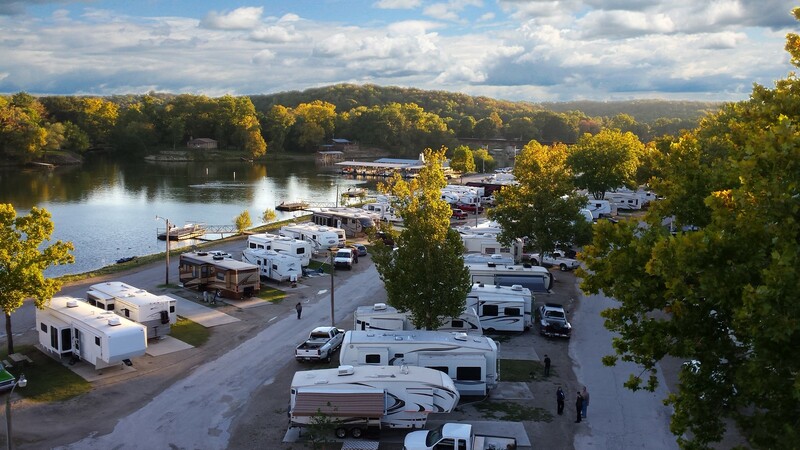 When planning a Branson vacation, make Branson Lakeside RV Park your destination and enjoy the best of both worlds. Located on the beautiful waters of Lake Taneycomo, our location is the best in town for beautiful lake views, fishing, and recreational opportunities. And if it’s entertainment you are looking for, you can literally walk NEXT DOOR to enjoy the $420 million Branson Landing. 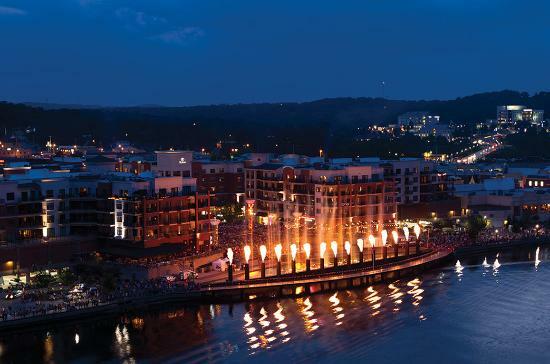 This 95 acre development along Lake Taneycomo offers more than 100 retail shops, restaurants, a river walk, and a wonderful fountain spectacular, synchronized to light, music, and fire. 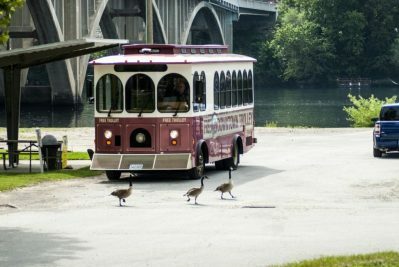 A trolley can be accessed from the RV Park and offers FREE rides for your convenience between Historic Downtown Branson and the Branson Landing. Click here to view a trolley map. 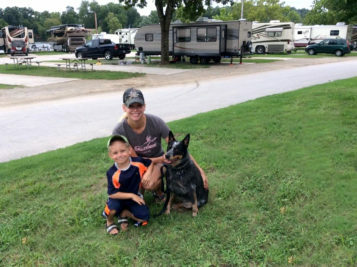 Whatever you are looking for is within reach at the Branson Lakeside RV Park. 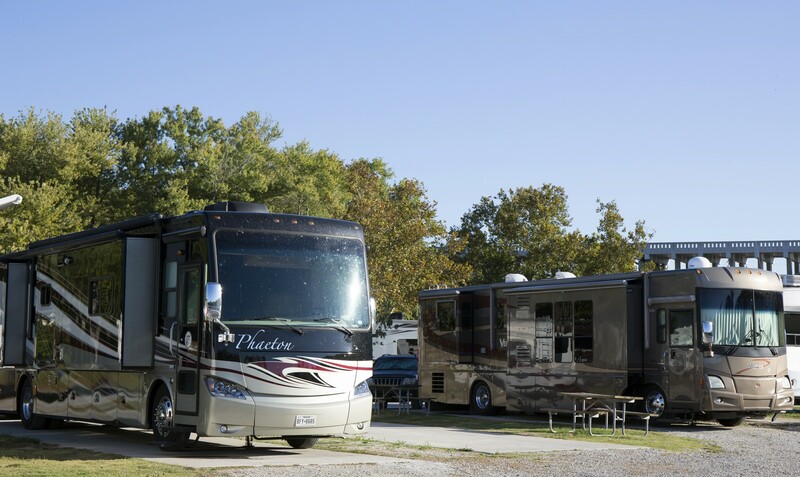 Premium sites with concrete pads available that can accommodate RV’s up to 90 feet. Your pets are welcome. A fenced dog area is provided to allow your dogs to run off leash. Catch the FREE trolley from our RV Park to Historic Downtown Branson and the Branson Landing.